Malerman was featured on The Outer Dark podcast sometime last year, I believe. I liked what he had to say and the title and description of the book intrigued me, plus they gave it high praise on the podcast, so I added it to Goodreads. Fast forward to this summer, and Goodreads tells me it’s on sale for $2, so I just had to give it a try! 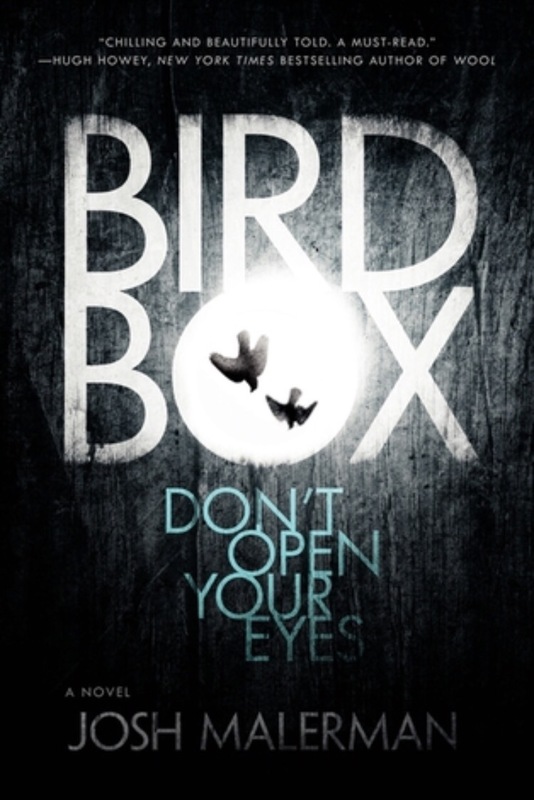 Josh Malerman’s Bird Box was one of the more terrifying horror novels I’ve read in a while. There are a number of scenes that are so suspenseful that you almost don’t want to find out what happens next. The scene in the bar was one of the more painful scenes for me. That was when I truly started admiring Malerman’s style and how intense his writing became. I binged half this book in a day because once it got rolling, it was hard to put down. The only difficulty was the constant changes in perspective. It changes times a lot and sometimes it was difficult for me to pinpoint when a scene was happening and I had to reread sections. Overall this didn’t change how good the novel was, but it did make it slower to start. I definitely recommend it! Is it a fun read? Definitely! I actually found it hard to stop once I reached the halfway point. Would you recommend it to others? I’ve actually been dropping plot pieces to friends, describing the dystopian world and the claustrophobia of the blindness that Malerman is so good at. The premise alone sells this book, but the stellar writing is what makes me finish it. Would you re-read it? I typically don’t reread many books, but I would reread sections of this one. The writing was beautifully gruesome. If you missed out on grabbing a copy of Not Your Average Monster Volume 2 a few months back, you can pick it up quite cheap right now on Amazon, and just in time to enjoy reading throughout October. In other news, I just finished submitting my blog post for HWA’s Halloween Haunts blog series, which will be posted throughout the month of October as well. Authors will be making posts, giving peeks at upcoming pieces, and having giveaways daily. So don’t worry, we’ll make sure there’s plenty to help you enjoy the Halloween season. Now that I’m finally recovered from DragonCon (and all the con crud that came with it), we’ll be putting up our Halloween decorations soon. I plan to post pictures of how we decorate our home and would love to see yours too! We just made our Target run the other day since their Halloween items just got put on the shelf too. Thank goodness Halloween is coming! I Didn’t Mean to Call You a Meatloaf, Jack! A fun romp through some excellent werewolf movies, with a focus on werewolf transformations in particular. A few were mentioned that I actually haven’t seen before too. So why did I want to write about werewolves, at least for my first novel or three? Well, for a few reasons. Firstly, werewolves are kickass and anyone who says different is a dirty liar. Secondly, because everyone else seems to be writing about zombies, and I’m all rebellious and non-conformist and whatnot. And thirdly, because werewolves have always scared the living crap out of me… but perhaps not for the reasons you’d expect. Oh my gosh, it’s nice to hear that someone else’s first draft looks like this. Sometimes I worry that all I have at the end is a bunch of talking heads, and the advice to cut X% of your novel just doesn’t work. I end up having to add more detail rather than cut out words. I also love his advice of using Youtube videos to explore sensations or locations you haven’t been to yourself. I actually can’t believe this hadn’t occurred to me before. I also love his method of coming up with novel ideas. Definitely worth the read, and apparently I need to read more of Powers’ books!